Hurricane season is now among us. The season which began June 1, will continue through November 30th. It is very important for all of us to be prepared for possible storms. On May 29th, the City of Coral Gables orchestrated their annual emergency management training to handle preparations for this year. One of the updates they provided touched on the fact that storm surge planning zones have been changed in Miami-Dade County. There are areas in Coral Gables that formally were not included in these zones and may now be identified as a risk for potential flood effects. Most of these areas are along canals and even further inland. In the event Miami is under a hurricane watch, each storm surge zone will be evacuated depending on the hurricane’s predicted track. It is very important for you to be aware of your homes storm surge planning zone. 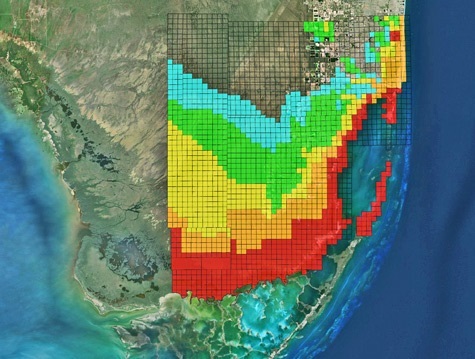 Miami-Dade County has an interactive map which allows users to simply enter their address to identify the location within a storm surge planning zone. On the interactive map click on the Emergency Management tab to find out your storm surge planning zone. You can locate this page by clicking here.